Deb Curtis has spent the past 40 years working with children and teachers in early childhood programs. 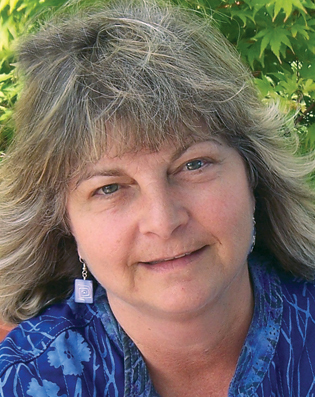 She is the coauthor of numerous professional learning books with Margie Carter, including The Visionary Director, Training Teachers, The Art of Awareness, Designs for Living and Learning, Reflecting Children’s Lives, Learning Together with Young Children, and Reflecting in Communities of Practice and author of Really Seeing Children. She holds an MA in human development from Pacific Oaks College and has worked as an infant/toddler caregiver, preschool and school age child care teacher, CDA trainer, Head Start education coordinator, college instructor, and assistant director of a child care program. In this new edition of their classic book, Curtis and Carter offer an alternative framework to approach standardization and data-driven mandates. 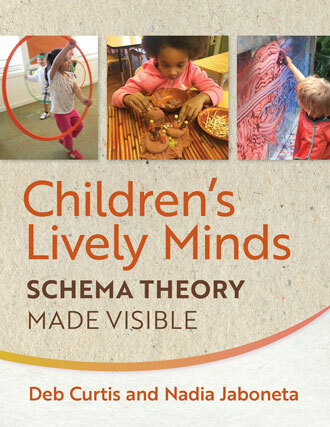 This book puts young children at the center of planning your curriculum. Rather than following a prescriptive curriculum, teachers can translate educational theories into concrete ideas for working with children and families. 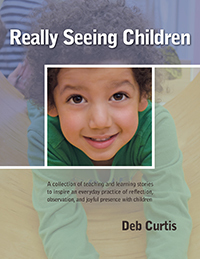 Deb Curtis has cultivated a reflective teaching practice devoted to really seeing children. Through her collection of stories and photographs, learn to suspend your adult agenda to really see children’s perspectives and the amazing ways they experience the world. 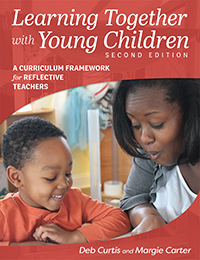 Taking up this practice will bring joy and deeper understanding to your work and life and allow you to engage with children in a more meaningful teaching and learning process.